Growing up, my mother used to make Shake-n-Bake pork chops, which I loved, and on occasion, I still make today. I’m not sure if it was that memory or the fact that cheese was involved, but I gravitated towards this incredibly easy and yummy recipe for boneless parmesan pork chops that originated on Just a Pinch. Enjoy! 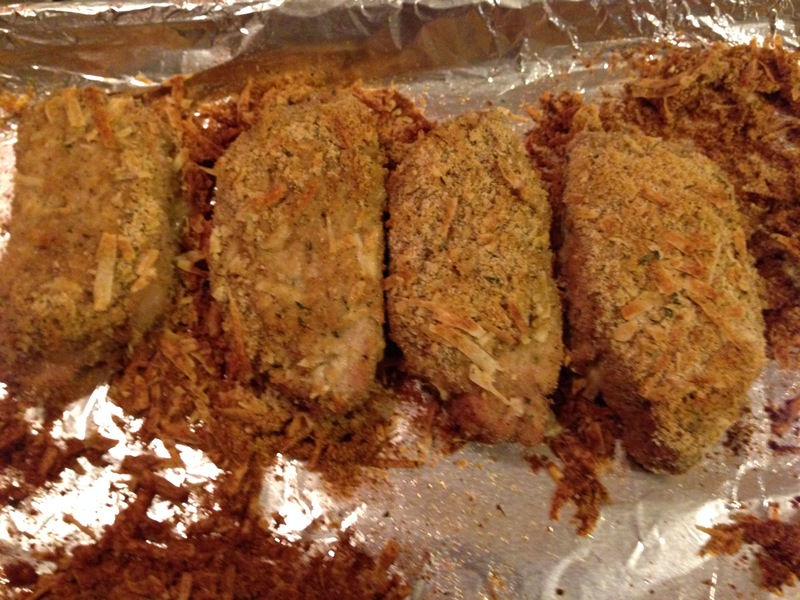 Combine parmesan cheese, bread crumbs, pepper, and garlic powder. 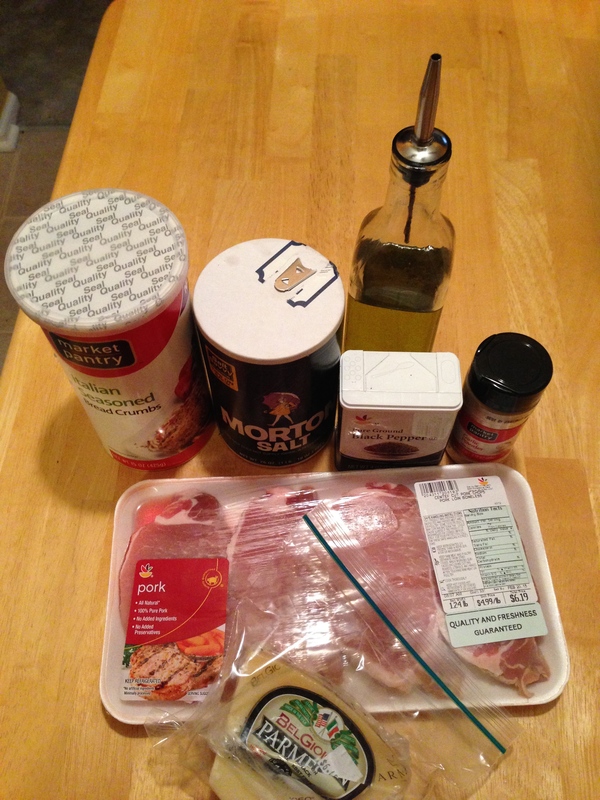 Rub pork chops in olive oil on both sides. 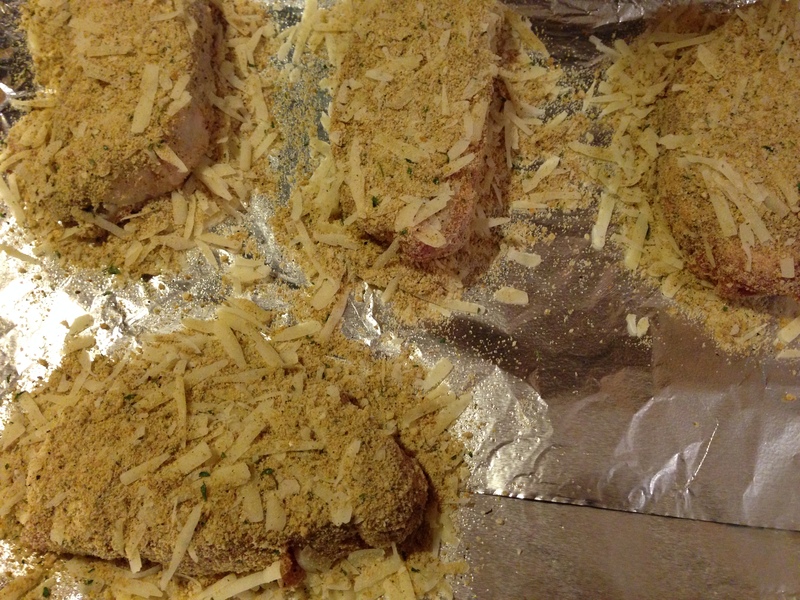 Coat pork chops in cheese mixture and place on baking sheet. tara’s tips: The original recipe used parmesan cheese from Kraft that you usually sprinkle on top of spaghetti; personally, I grated my own cheese and while fine, I think Kraft would adhere to the chops better because of the cheese consistency. I always have to use a little salt whenever I season meat, so I sprinkled a little on each chop after they were coated. I served with a sweet potato and broccoli. Delish!